Moving is an exciting experience, but can often be a tedious one. 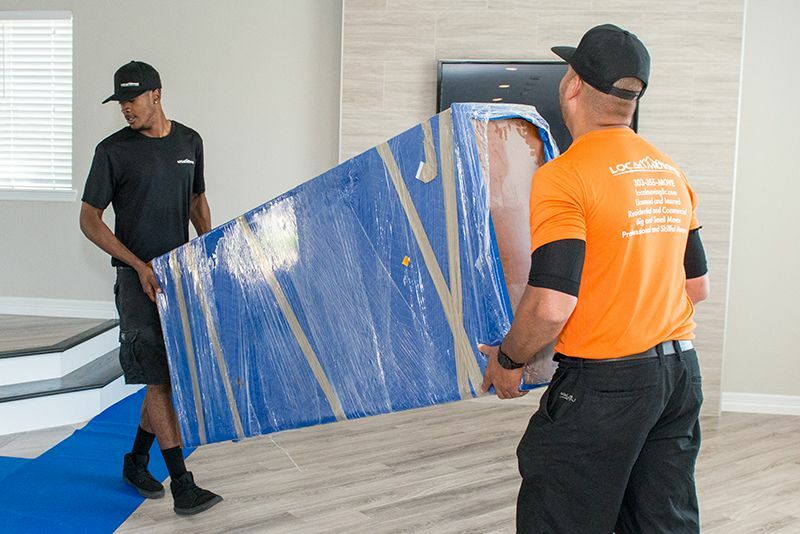 There are so many things to coordinate and think about, however, by hiring Local Moving LLC a professional moving company you will find it less stressful, and you will might even enjoy this important transition. Local Moving LLC provides comprehensive moving services throughout Castle Pines, Colorado serving both the commercial and residential customers. This mean whether you are relocating to a new home or relocating your office we have you covered. Our ultimate goal is to ensure that your moving experience goes as smoothly as possible by also moving you safely and efficiently. When looking for a moving company, it is important to look for a company with experience and knows how to handle your items with care. At Local Moving LLC our team members have over 25 years of experience in moving industry, so you can be confident that your items and treasures are in good hands. We always take extra precautions when packing for you. We use quality packing materials and carefully secure your belonging no matter how delicate they are. We also have a well equipped fleet of moving vehicles to handle any move regardless of size. Why Choose Local Moving LLC? We have a solid reputation, which is why most of our clients are repeat customers. A majority of others customers are referred by friends who have previously used our comprehensive moving services. Our reputation is based on proven records of accomplishment and positive feedback from our trusted clients. Local Moving LLC understands that moving can be time sensitive; therefore we ensure that our services are prompt and completed in time. Castle Pines, we customize your move! Local Moving LLC believes that every customer's needs are unique, and therefore our commitment is to serve you. Our job is to ensure we meet your standards when handling your belongings. We strive to adapt to your situation, so our job begins with a no-obligation estimate. We will offer a customizable plan, and we will ensure that the job is complete. So whether you are moving in Castle Pines, Colorado or are moving to another area you can be confident that our team will respond to your needs!